Ascentia Foodservice Equipment is excited to be attending the 2019 Casual Dining Show at London Excel on the 27th & 28th of February, on stand G71. We will be exhibiting a selection of our premium foodservice equipment brands such as our beautifully crafted MIBRASA charcoal ovens, Pavesi Forni pizza ovens and the Venix combination steam ovens. MIBRASA manufacture the finest charcoal ovens and charcoal grills on the market, beautifully crafted and engineered in Spain, the home of charcoal cooking. 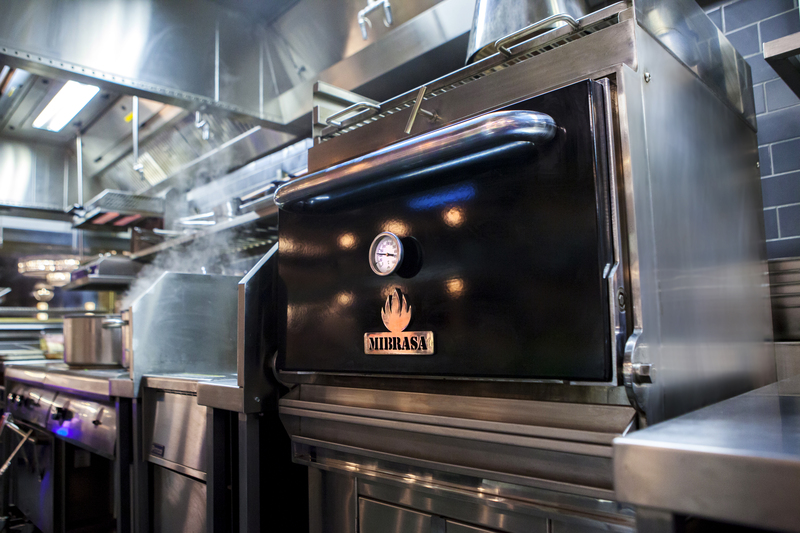 A MIBRASA charcoal oven or grill will quickly become the focal point of any commercial kitchen and provide diners with a unique theatrical and culinary experience. “It’s so versatile and extremely well made, there really is no other charcoal oven quite like it.” Executive Chef, Sopwell House Hotel. Pavesi Forni manufacture a beautiful range of traditional stone hearth pizza ovens. Each oven is hand made using the highest quality materials with options of a static or rotating cooking deck and fired by wood, gas or a combination of the two fuels. Pavesi ovens are also built with a unique ‘monoblock’ cook deck. This result s in ovens with the highest possible heat retention qualities found anywhere on the market. Venix manufacture a huge selection of bakery, convection and combination ovens. From small countertop convection ovens to large 20 grid combi’s with touch screen controls Venix offer an oven solution for any application. The top of the range Venexia has everything you’d expect from a market leading combi oven including multi-level timers, full recipe planning functions, regeneration and hot hold functions, multiple core probe cooking, self-washing cycles and WIFI as standard. As always we will be cooking live and this time we will be demonstrating the versatility of our amazing HOP ‘Air-Fryer’ and the super-fast GARA pizza oven. Say goodbye to dirty oil fryers and expensive extraction systems with the brand new HOP ‘Air Fryer’ from Ascentia Foodservice Equipment. The HOP completely eliminates oil from the frying process delivering a cleaner, healthier product without any contamination of flavour from nasty oils. The affordable, easy to use HOP requires no extraction making it the most versatile frying machine on the market. As a Casual Dining Show exclusive, we will be launching the brand new GARA pizza oven. The GARA is a small, countertop oven that produces stone baked Neapolitan style fresh dough pizza in as little as 60 seconds. No microwaves, just clever technology. The oven can reach temperatures of up to 500’c and the option of a 2.9kW version allows you to just plug and play. Join us on Stand G71 to see our amazing equipment in action and enjoy some fantastic food.